As if to put an end to the speculations surrounding Bala’s next venture, producer Kalpathi S Agoram's AGS Entertainment released a press announcement recently. The production house has announced plans for a mega budget venture with Vishal and Arya in the lead. 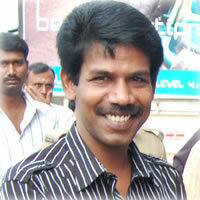 Interestingly, the buzz about the same has already been in the media about Bala’s proposed plans with Vishal and Arya. It’s also learnt that Bala is impressed with Arya’s devotion for Naan Kadavul that he vowed to cast him in another light movie, which is less demanding that the former.